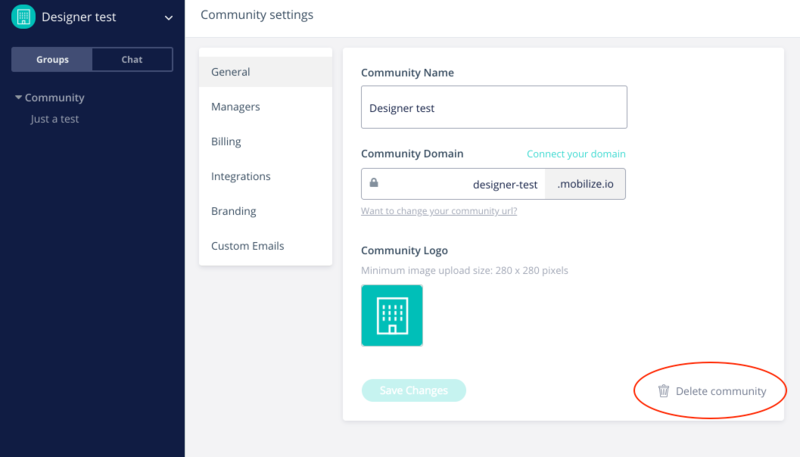 How to delete and what happens when I delete my community? Click General and you will find the Delete Community option on the right hand bottom corner. 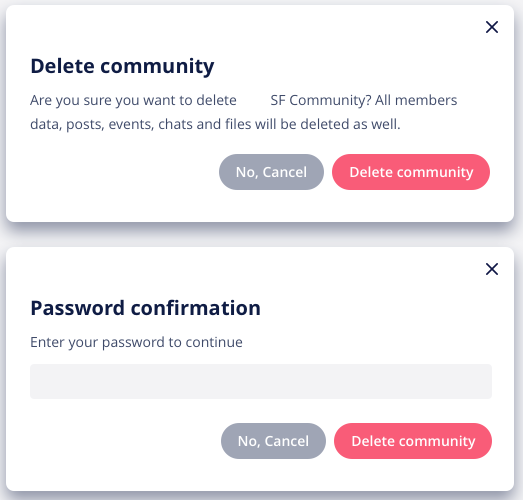 Only the account owner will see the option to delete the community. To delete your community you will be asked to re-enter your password to confirm the deletion. What happens when I delete my community? 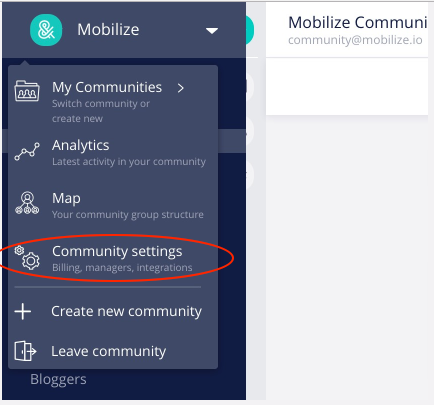 All community data will be deleted from the Mobilize databases and Data processing services.